STARRING Jack Davenport, Neve McIntosh, Julian Wadham, Nick Brimble, and William Beck. 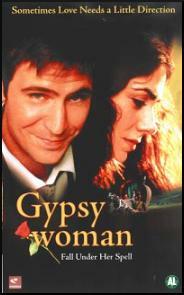 SYNOPSIS The private and interesting world of the Gypsies acts as the backdrop to the film. Leon Hawthorne is a recently widowed property developer left to raise his young daughter on his own. While at a Coroner's inquest into the death of one of his workers, Leon meets the dead man's widow Natalie. A bright and almost exotic woman, Natalie's beauty captivates Leon and after the verdict of the court case comes, he sets out to track the widow down. This brings him into the countryside and on an unexpected journey full of humour, danger and self discovery as he enters the world of the Gypsies. Leon soon finds himself in love with Natalie, but it is too late and she is gone. Though all is not lost and with the help of the Leon's and Natalie's daughters, they just might manage to sort it out.